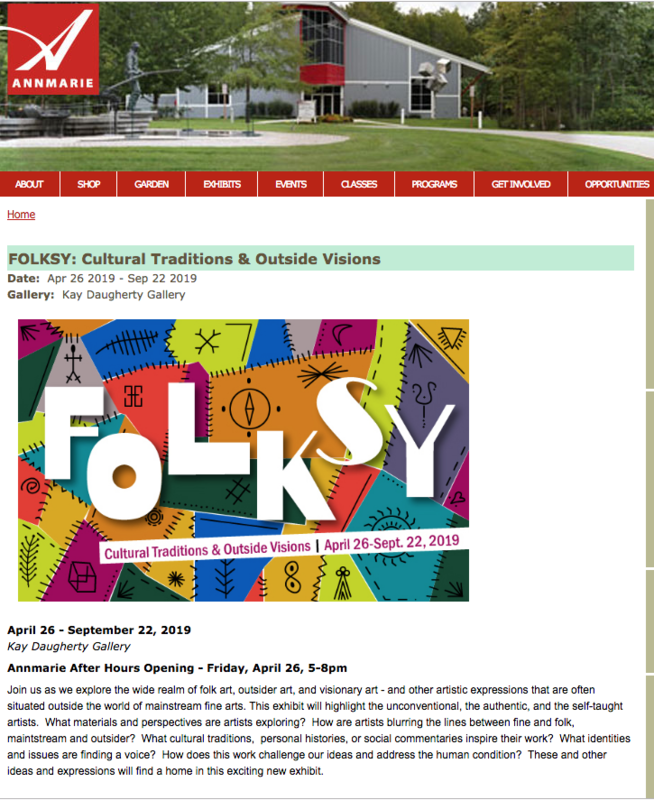 I am psyched to be included in a show at the AnnMarie Sculpture Garden and Arts Center in Maryland, in affiliation with the Smithsonian Institute. The opening for the show, which I promise contains some pretty amazing work, is on April 26, 2019 from 5 pm to 8 pm. The show is up from April 26 to September 22, 2019. Swing by if you’re in the area!